Robot actor in Japan stage debut Jump to media player A life-like robot called Geminoid F has taken to the stage in Japan, but will it take over from the real thing? Eye to eye: new tools for doing business Jump to media player Can futuristic avatars or hyper-real video chat systems help businesses to communicate better? 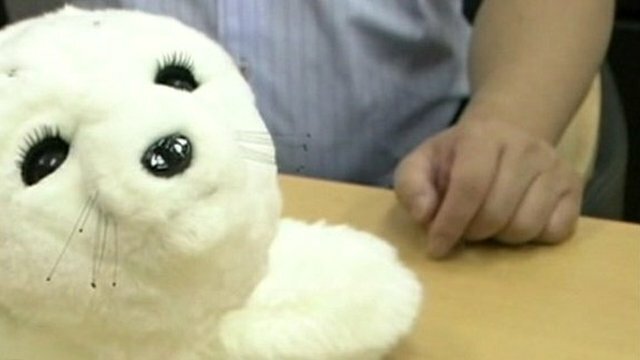 Robotic seals 'help comfort elderly' Jump to media player Researchers in Japan have developed a robot in the shape of a seal that they say can provide physical and emotional support to the sick and elderly. 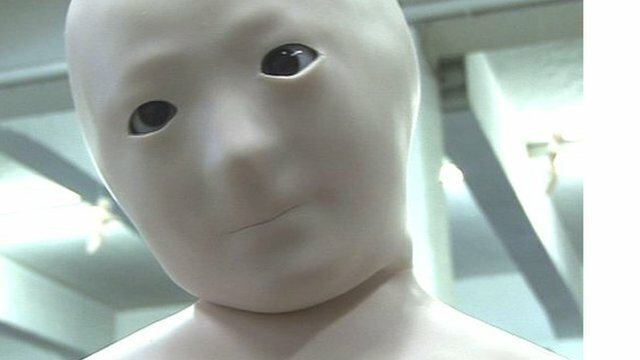 A life-like robot called Geminoid F has taken to the stage in Japan, but is there a chance it will it take over from the "real" performers? Actress Bryerly Long, working alongside the android in a Japanese play titled Sayonara, said she feels it lacks "human presence", making her feel "alone" on stage.